A New Year's Eve trip to Leicester City affords Andy Carroll (£6.2m) the opportunity to build on his return to form and provide Fantasy Premier League managers with a new consideration up top. After months on the sidelines with a knee injury, the West Ham United frontman was eased into contention by Slaven Bilic with back-to-back appearances off the bench against Arsenal and Liverpool earlier in December. In a 14-minute cameo, he scored his side's consolation in a 5-1 home loss to the Gunners in Gameweek 15. Having stepped up his match sharpness, Carroll has since led the line for the Hammers in each of the last three Premier League matches, finding the net in a 4-1 Boxing Day win at Swansea City. 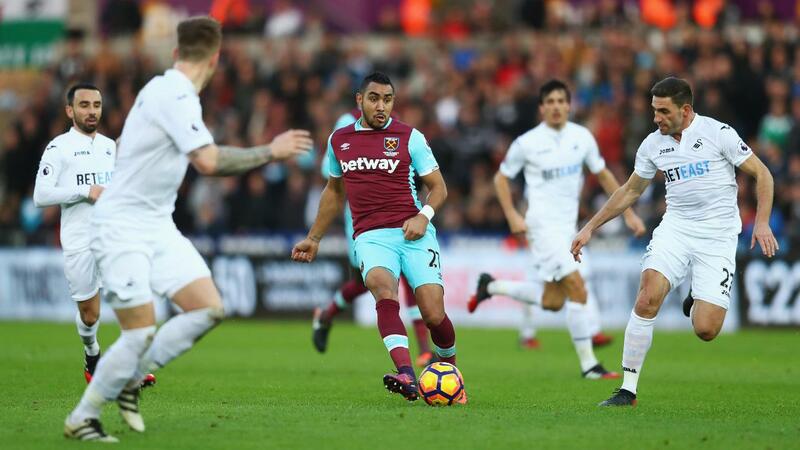 When assessing his statistics against team-mates over the previous three Gameweeks, Carroll is top ranked for attempts on goal, with a tally of 11 bettering Dimitri Payet's (£9.1m) total of 10. He is also ranked first for efforts inside the penalty area, registering seven to Michail Antonio's (£6.7m) six. The target man also fares well when compared with FPL forwards over this period. He has produced more successful headers (43), touches inside the penalty area (27) and attempts on goal (11) than any striker from Gameweek 16 onwards. Only West Bromwich Albion's Salomon Rondon (£6.7m) has registered more efforts in the box, by eight to seven. Sitting in just 2.8% of Fantasy Premier League squads, Carroll's aerial threat is complemented superbly by Payet's creative spark from midfield. The Frenchman has supplied more successful crosses (12) and key passes (21) than any player since the big Geordie returned to Bilic's first XI. Up against a Leicester defence that has failed to keep a clean sheet since Gameweek 7, Carroll has a chance to play his way into consideration for our three-man frontlines ahead of favourable upcoming January showdowns against Crystal Palace and Middlesbrough.